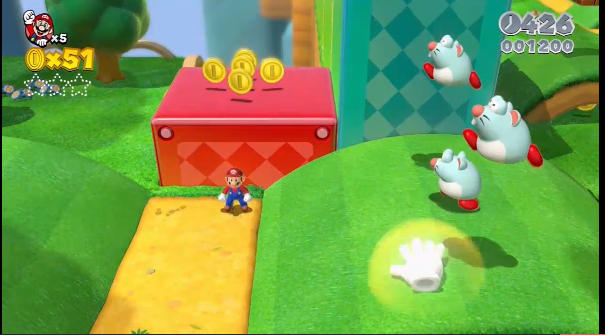 During today’s Nintendo Direct, Nintendo have announced a brand new 3D Mario title inspired by Super Mario 3D Land. It’ll be entitled, get this, Super Mario 3D World. It’ll retain the same 3D/2D hybrid of the 3DS installment but there’ll be ways you interact with the GamePad to create platforms and you’ll be able to play with 3 of your friends as Luigi, Toad and Peach. There’s also a cat suit so…Cat Mario. My body’s ready for this. Expect it sometime in December.